Hello ladies, I've shared about how you can use Toshiba BBT Thermometer for lose weight on this post. And I know some of you still wondering about the "App" for the thermometer. Basically, after you buy the BBT Thermometer from Toshiba, you must download the BBT App to your phone so you can start measuring your temperature tomorrow. 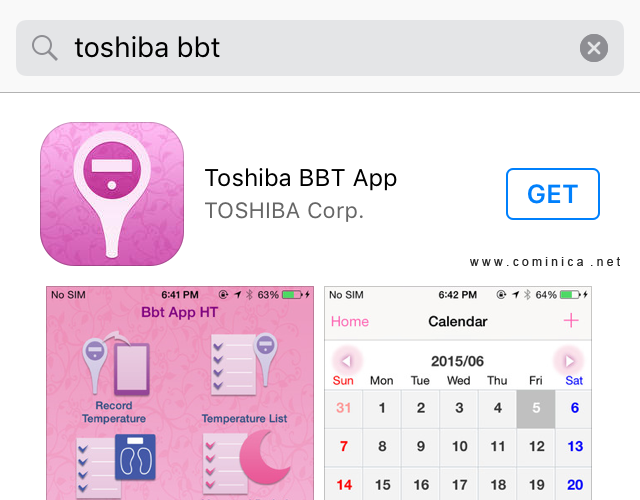 To download this App, you can go to GooglePlay or AppStore and type "Toshiba bbt" on the search box. Toshiba BBT App is an app designed for use with the TOSHIBA Digital Clinical Thermometer/Basal Thermometer. So you can't use other thermometer. 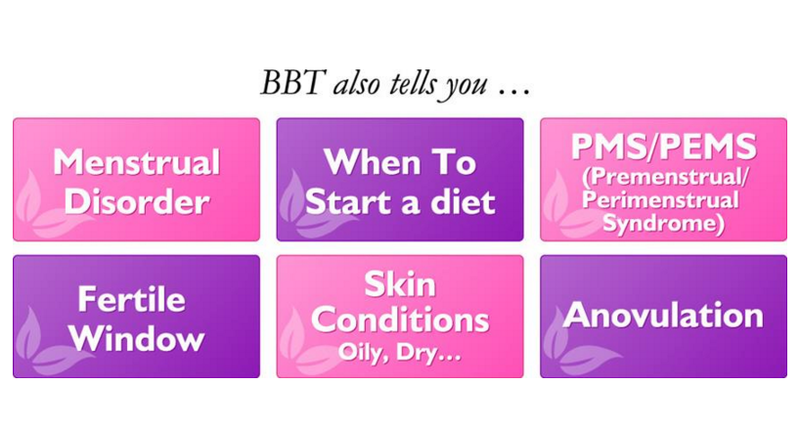 This BBT App is a simple, easy-to-use app that allows women to track their monthly cycle and record their basal body temperature. Using the App together with the Toshiba Digital Clinical Thermometer allows you to easily send your Basal Body Temperature to your smartphone, where it is automatically converted into graph form. After you download the App, You need to register first and after that go to the setting and register your Toshiba bbt thermometer, you'll find the guide inside the App, it's super easy so don't worry! Toshiba BBT App helps me a lot to know more about my body. It is fun to start a good routine which is great for my health. This App creates an easy-to-understand line graph that allows you to see changes in your body temperature. This graph can be layered with a weight graph or symptom graph, to help you see the condition of your body at a glance. Being aware of your body's natural rhythms will help you to improve your lifestyle and habits. 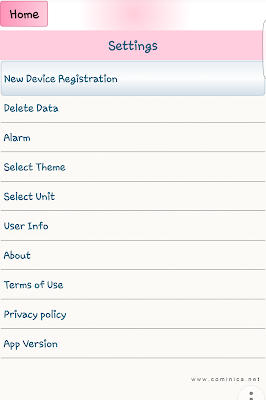 You can also monitoring your menstrual period by entering the date of your period. To store the information is simple. The app will predict when your next period will start and when you will ovulate based on the information entered. This is useful if you want to have a baby. 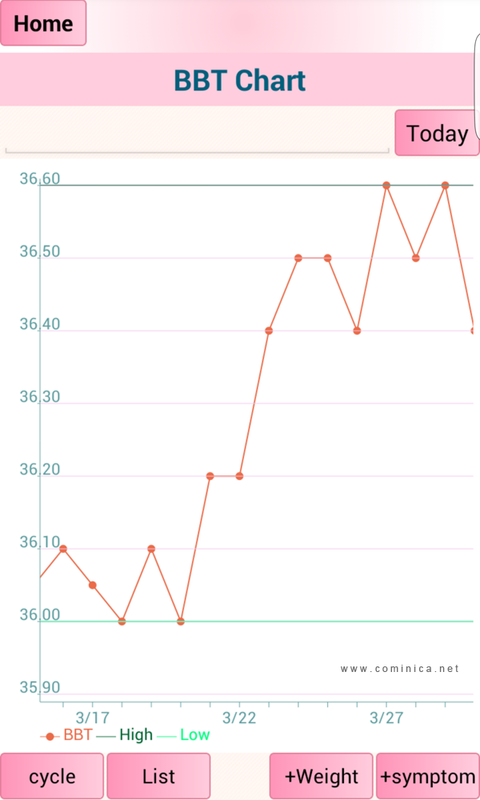 With this App, you can enter your weight every day and see it straight away on a graph. This can be layered with a temperature graph to clearly show the relationship between your weight and temperature. This will help you with your diet and to control your appetite. Don't forget to enter your daily schedule, any symptoms and notes too. The predicted start date of your period will also be displayed on the calendar, this is very useful when you're planning trips or other activities. 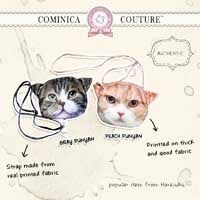 So you can avoid traveling on your period days or just to prepare everything beforehand if you're getting your period suddenly on your trip. You also can use the built-in alarm to remind you to take your temperature. If you use the TOSHIBA Digital Clinical Thermometer, it only takes 40 seconds to measure your temperature. It's quick and easy! 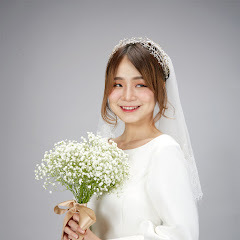 And just like what I've said on all my previous post about Toshiba Digital Thermometer or about the Basal Body Temperature, knowing your BBT also knowing your Menstrual Disorder, PMS, Fertility, Skin Condition, Anovulation and also When to start a Diet. 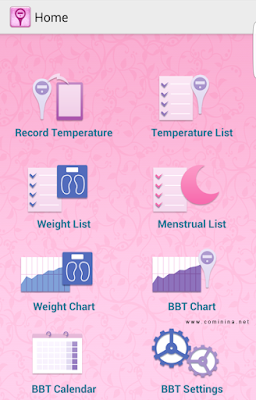 The Toshiba DC Thermometer and The BBT App are both a complete useful package for a woman. The App is free and The themometer itself is affordable. This thermometer is really popular in Japan, many women buy this thermometer to help them check their fertility and to have a baby. I think all women in Indonesia should start using this thermometer to help maintain their health, fertility and overall condition of a woman. I really love the concept of this thermometer and the app, I also recommend this to some of my closest friends so they can start a healthy life style.